The ecobee3 has been our top pick for nearly 2 years, and the family just got bigger: the ecobee3 lite Smarter Thermostat rolled out this October! Toronto-based ecobee slimmed down the feature set of its flagship thermostat and aimed at the “budget” end of the smart thermostat market with this new addition. It’s cheaper than the ecobee3 “classic” with few sacrifices. *UPDATE* When it launched last October (2016), it lacked support for those little “room sensors” that set the ecobee3 apart from the competition. Ecobee has since added support for the sensors to the lite. So what differences are left? Mostly, it comes down to accessory support. The biggest difference, since the ecobee lite now supports room sensors, is that the ecobee3 lite doesn’t support humidifiers, dehumidifiers, or ventilators. If you have these accessories, you should get the ecobee3 so you can take full advantage of your home’s HVAC equipment. If you don’t have any of these things, though, the lite should suffice. The ecobee lite supports, but does not come with, room sensors. You can buy them separately, or forego them entirely if your home is smaller, has an open floorplan, or is already wired for multiple zones (or maybe you just weren’t jazzed by them to begin with). For the sake of comparison, the ecobee3 smart thermostat comes with one room sensor (three if you buy the bundle) and let you add more to give the thermostat a more complete understanding of your home’s temperatures. There’s a slight difference in the unit’s physical design, too. The ecobee3 lite has ever-so-slightly more rounded corners. It’s really the exact same thing minus a bundled sensor and reduced accessory support. This is our first time rewarding a 5 star score to a smart thermostat in this site’s 3 year history, but the ecobee3 lite has earned it. (The ecobee3 “classic” comes close with a 4.5.) It represents the best of the ecobee3 design, supports a majority of systems, lets you choose whether or not to buy the add-on sensors, and packages it up at an affordable price point. It even works with systems without a C-wire, thanks to the included Power Extender Kit. This is the smart thermostat to get. Who is the ecobee3 lite for? Best of all, the original ecobee3, which we’ve recommended for over 2 years, is still available and supported. If you’ve always wanted an ecobee3 but didn’t need the room sensors or found the price a bit too high for your budget, the lite is for you. 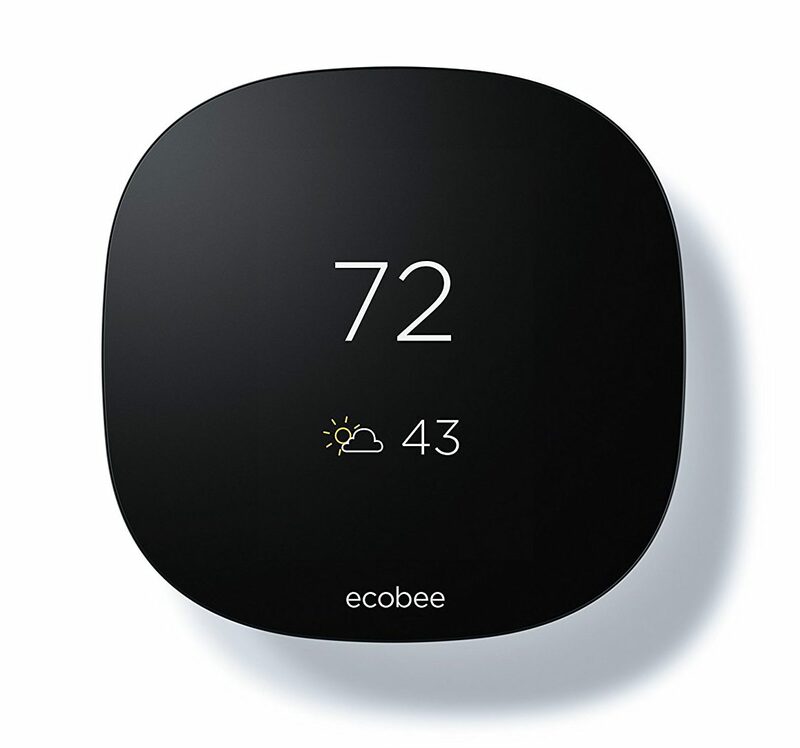 The lite version is poised to compete with lower-priced smart thermostat offerings, such as the LuxGEO and Emerson Sensi (our budget-friendly smart thermostat favorites), without sacrificing the features that really made ecobee3 great. If you have an ecobee3 already, there’s no reason to switch. The lite isn’t an “upgrade”, per se, and the thermostat unit itself is almost exactly the same size. The apps are the same and the interface is the same. We hesitate to make the ecobee3 lite our go-to recommendation quite yet because ecobee (the manufacturer) says this is a limited quantity launch. Whether they make more is probably dependent on how well this one sells, which we think will be very well. The only thing ecobee has to worry about is running out of stock. ecobee seems to be testing the waters with this “lite” thermostat and warns shoppers that “This is a limited quantity launch. Buy yours while supplies last.” However, they’ve since been in stock for 5+ months straight so go ahead and grab one if you think the lite’s the right thermostat for you! Now you can control your Ecobee3 with your Amazon Echo! As of March 22nd, all ecobee3 lites are now compatible with ecobee’s wireless room sensors! Once you pair a sensor to the ecobee3 lite, you’ll be able to use Smart Home/Away and sensor participation. When you purchase Ecobee 3 Lite, how do you know you are getting a post March 22nd version? They all work with the sensors now. It’s an automatic software upgrade. I had the Ecobee Lite for a few days and then upgraded to the Ecobee3 and one difference I noticed was how the Ecobee app worked with my cell phones. The app worked fine with my iPhone, my Samsung Galaxy, and my old HTC Android phone when I used the Ecobee3; however when I used the Ecobee Lite the very same app would not work with my old HTC Android phone. It said something like this app will not work with this phone. When you buy a Ecobee 3 Lite, how do you know you are getting a post March 22nd version?